A round-the-world trip on two wheels comes just once in a lifetime. Your adventure bike is standing ready and prepared in the shed, all that’s missing is the riding skills you need for your trip. Motorcycling on the roads is no problem, but traveling on tracks and dirt roads brings with it some real challenges. An intensive course could well be the answer! Never will he stop trying new things. A horrific crash left Nicola Dutto bound to a wheelchair, but even with that setback in mind, he’s still out to achieve his goals. His next challenge will be kicking off on January 7, 2019. That’s the day he’ll start the Dakar Rally. 2016 Dakar Rally winner Toby Price is no stranger to hardship. Before his rally career had even begun the Australian suffered three broken vertebrae during a Hare and Hounds crash in America. 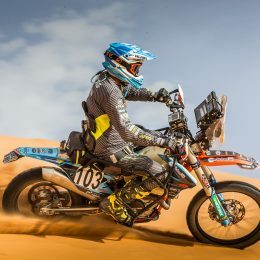 Then, when defending his Dakar title in 2017, another fall resulted in a badly broken leg that resulted in his immediate retirement from the event. But through a positive mental, dogged determination and a never give up attitude, Price fought back to claim a hard-fought Dakar podium finish in early 2018. Price then went on to win the FIM Cross-Country Rallies World Championship making him a firm favorite for Dakar 2019. 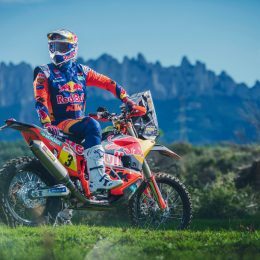 However, once again the KTM ace is experiencing the rollercoaster ride of the sport, as he faces a race back to fitness to make it to the start of the Dakar in January, after sustaining a wrist injury this week. Their wins are the result of their riding skills and inner strength. Their scars are a sign that their motivation to win outweighs their fears. 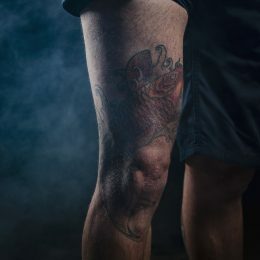 Their tattoos are reminders of their teenage rebellions and deepest passions. Their body art is the ultimate proof that pain is nothing to endure when you decide to bleed for love. Translated into words, their ink says Life is fragile, we are not. Full-speed ahead in every respect – that’s what KTM is all about. This also means keeping on top of what’s going on in the world of motorcycling, be it touring bikers or owners of powerful single-cylinder beasts. 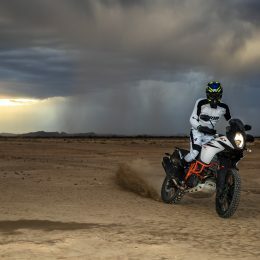 The KTM 790 ADVENTURE in particular, presented in two versions at the EICMA, and the return of the completely overhauled KTM 690 SMC R caught the attention of KTM’s army of enthusiasts. 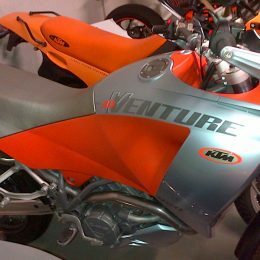 Two decades ago, as the global market leader in the offroad sector, KTM also successfully gained a foothold in the sporty street and touring bike segment with a successful technology and design offensive. Even from first glance, KTM bikes have boasted an unmistakable KTM design pedigree for years – we don’t need our logo to stand out! The Dakar Rally is not a race where you can be complacent. 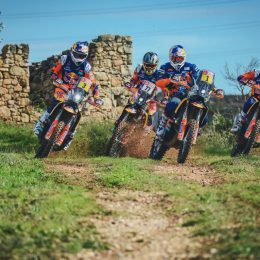 Despite 17 consecutive wins for the KTM Factory Racing Team, each member of staff involved in the rally program is meticulous in the preparation for one of the toughest and most famous races in the world.